Choosing the ideal images for your portfolio can often seem as hard or harder than actually taking the photos in the first place. Most photographers tend to treat their portfolio as a dumping ground for as much work as possible with the intention that quantity is the key to building their credibility. More often than not, the opposite is true. The pursuit of perfection in any creative craft can often inspire the feeling that one is forever climbing a mighty mountain yet never even rising beyond base camp. Photography is no different, any photographer worth their salt will have trudged through great difficulty to reach mastery in their craft. We all commonly begrudge the struggle, but it is through that struggle that we are able to make all of our most impressive gains. 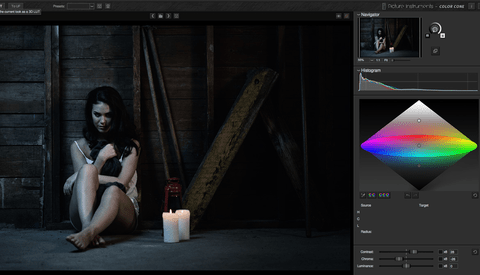 Color Cone boldly positions itself as a powerful but easy to use tool to augment any color grading workflow. Is Color Cone the next great addition to your post-processing ritual or just another app that you will purchase and never use again? Photographers always find themselves obsessed with exciting toys like camera bodies and lenses but it is often the overlooked items that can make the biggest impact on a shoot. 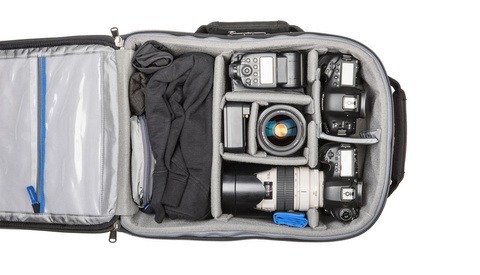 When packing your camera bag always try to find space for a few invaluable tools to common challenges during any shoot. Below you will find some of my favorite little lifesavers that join me every time I shoot. The biggest hurdle faced by many budding portrait photographers is the need to find amazing subjects to collaborate with. 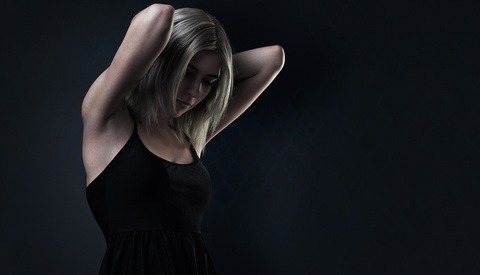 Reaching out to and communicating with models can be intimidating, but it really shouldn't be, as it can very easily lead to a very rewarding collaborative shoot for both parties. Manfred Baumann is a highly regarded portrait photographer specializing in working with the biggest names in Hollywood. Baumann has spent years developing a timeless style to his work that continues to be in high demand. Fstoppers chats with Baumann to get the low down on what drives both his creative process and how he built a strong business in a very tight niche. In 2017, ACDSee started their Photographer Spotlight program to give back to their users by providing new opportunities to talented rising stars in the photography world. 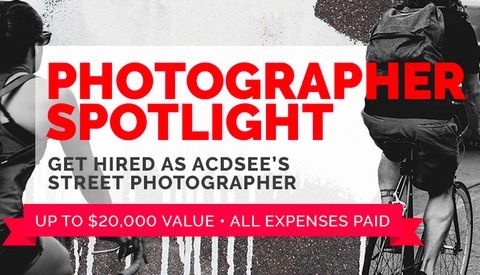 For 2018, the ACDSee Photographer Spotlight program is set to continue with the chance for a budding photographer to win a four night, expenses paid trip to Montreal along with a professional photography assignment from ACDSee. In addition to covering the expenses of the trip, ACDSee is offering a minimum of $1,500 for the completion of the assignment while in Montreal. In a mobile world filled with an endless selection of preset filters, there are surprisingly few options to employ more creative color grading that is driven by specific choice rather than by simply perusing a gallery of presets. 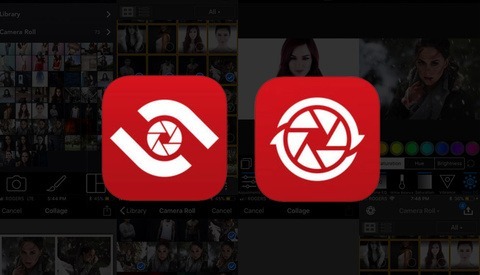 ACDSee Pro for iOS is one of the few apps that look to bridge this gap with an array of powerful color grading tools that emulate the color grading freedom of desktop editing. One of the most toxic poisons to continued inspiration is the sudden belief that your own work is hated by your audience. Online criticism can be a harsh weight on motivation that all photographers must face at one point or another and is something that should almost always be completely ignored. 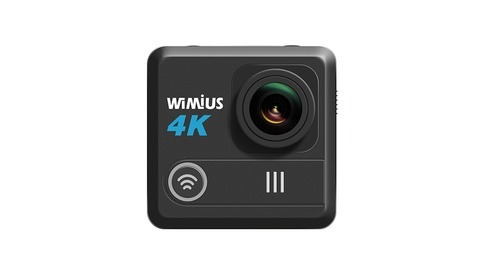 The WiMiUS L1 4K action cam is a competitively priced budget alternative to a market that has quickly become saturated with tiny cameras from a huge variety of companies looking to stake their claim in the action sports market. On the surface, the WiMiUS L1 boasts what appears to be an impressive value, so Fstoppers put it through the grinder to see if it is truly a considerable contender in the action camera market. We are in the heart of one of the most severe winters that has come along for years. Many are spending as much time bundled up as possible waiting for spring to show up in a month or two. Photographers, however, are a different breed. Crazy conditions are an opportunity to create interesting images so we often find ourselves meandering out into the unexpected after that perfect shot. 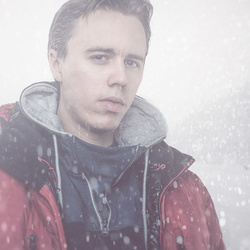 Winter portraiture can be especially tricky as it requires managing a model in adverse weather. These tips should help ensure your next winter shoot is a success. Another year has come and gone, and as such the time has come to reflect on the road ahead. With the New Year just a few days away, now is the best time to do some soul searching and adopt some resolutions that will help improve your photography going forward. This road is often a challenging one, based on the forever hunt for ever greater photographs. With the goal of always improving our craft in mind, these New Years resolution suggestions will help get you out to an amazing start in 2018. Procrastination is often the name of the game when it comes to aspects of maintaining our photography. Finding time and motivation to do fun shoots should be pretty easy throughout the year, but maintenance tends to be pushed to the back burner. The holidays season can be a great time to revisit some activities that can be a huge benefit to your photography but are often things left forgotten for far too long. 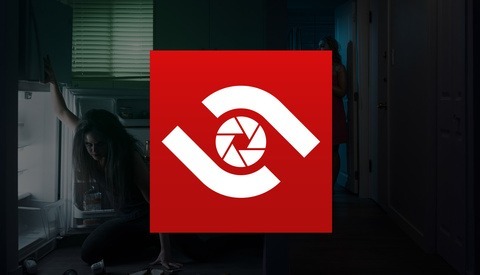 World-renowned photographer Clay Cook decided to bring Christmas a bit early by hosting a livestream on the topic of marketing for photographers. Cook is an editorial and advertising photographer who works very heavily in the commercial space shooting editorial portraiture. 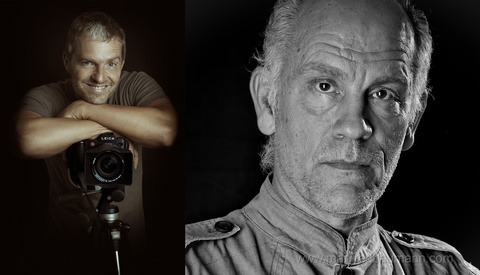 Cook has worked with a myriad of national brands and celebrities throughout his career and is poised to offer great advice to any budding photography looking to begin a career in any commercial photography market. 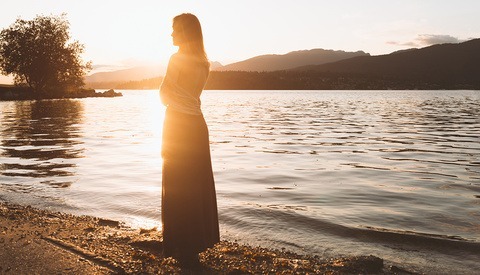 Sometimes when shooting a portrait the drama created by a silhouette can reveal a more powerful sense of character than a more traditional portrait. One major downside of a true silhouette, however, is that it fully blacks out the subject sacrificing any opportunity for expression or detail within said subject. 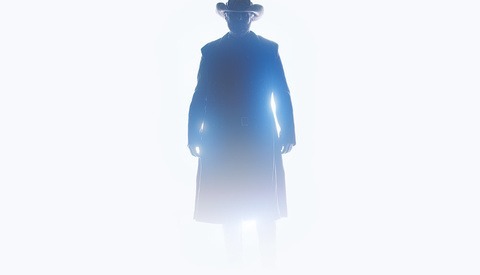 In a recent shoot, I experimented with an alternative to a true silhouette that uses a light source near to the subject to wrap light around them in a way that creates a sense of a heroic silhouette of the style that could be found on film posters or the cover of a book. Christmas is only a few weeks away which means that you are probably procrastinating so that you can experience the magnificent panic of last minute shopping. Perhaps this could be the year you mitigate that stress by getting your shopping done early in the month! 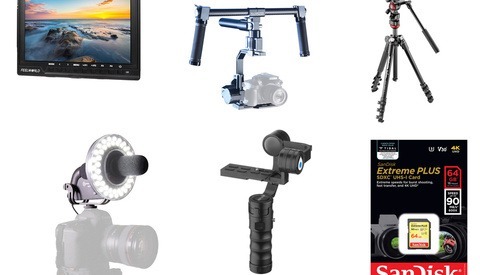 B&H Photo is helping out with a big sale on a large variety of small video accessories (along with a few larger ones). One of the best ways to step up your photographic game as a portrait photographer is to improve the quality of your subjects. There are a variety of ways to do this ranging from improving your ability to coach strong expression, working with better makeup artists, or improving the quality of styling. The easiest method, however, is by working with experienced models who are practiced in interacting with the camera and already know the fundamentals of posing and expression. Finding a strong model to work with means the shoot becomes more of a collaboration that provides you the opportunity to elevate the quality of your work. With Black Friday only a couple days away B&H has added another sale to their already impressive list of savings by putting a wide variety of their Apple products on sale. 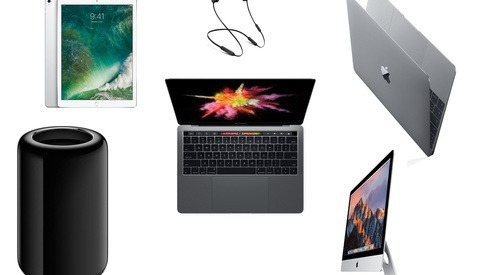 With savings up to $1,100, there are amazing deals to be had for any fan of Apple hardware. Whether you are in the market for a new iPad or want to buy a whole new desktop rig this is certainly a sale to keep an eye on. 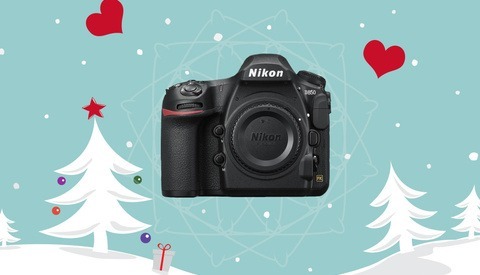 It seems that each year Black Friday arrives earlier and earlier, this year B&H photo is getting started almost a week early with some big savings to kickstart the holiday season. 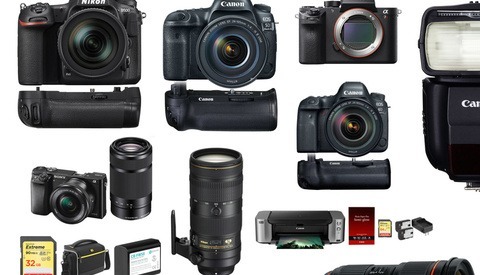 With deals on cameras, lenses, computers, printers, and more with savings up to $1,400, there is certainly something to scratch any gear itch that you may have. Get your Christmas shopping started early for that special someone in your life. After fumbling around with a camera or two while dangling from cliffs I realized that my calling was in storytelling. Armed with a new curiosity and a trusty sidekick I dove into a new realm of creative photography. Soon after I was honored with an international photo award by Photo Life Magazine which only served to redouble my fervor. Despite, briefly, getting lost in some misty mountains (and falling down one or two of them) I finally resettled among the beautiful vistas of Vancouver.